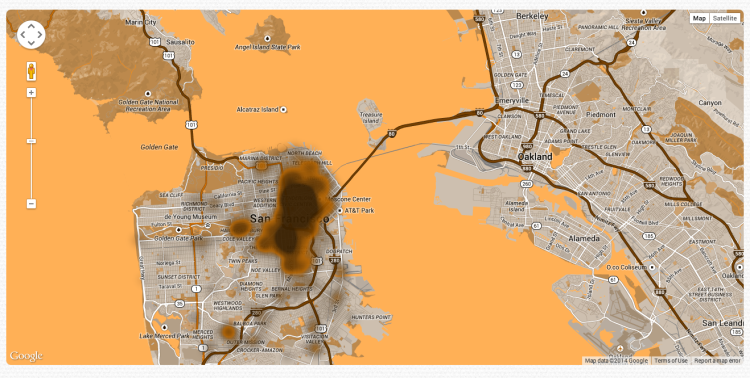 Jennifer Wong has created (Human) Wasteland, a map showing incidents of human poop in public places reported to San Francisco’s 311 program. Users can search the map by neighborhood and month, and there is a link where users can report poop sightings directly to 311. The map was the winner of a Fall 2014 Hack Week event hosted by the San Francisco office of online real estate company Zillow.